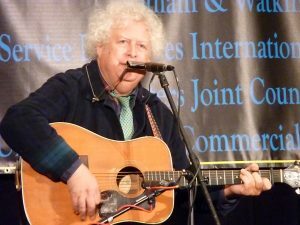 This entry was posted in Features and tagged Ross Altman, solidarity on November 2, 2017 by admin. 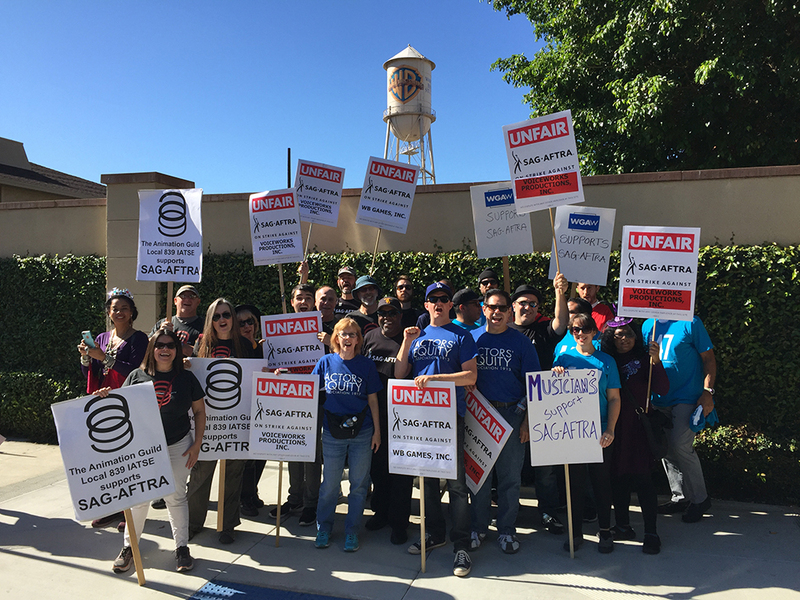 Members of AFM Local 47 joined with hundreds of SAG-AFTRA members, labor and community supporters on today’s picket line outside of Warner Bros. Studios regarding interactive video game employment. This entry was posted in All News and tagged interactive video games, SAG-AFTRA, solidarity, video games on November 3, 2016 by admin. “Hey hey, shut it down, L.A. is a union town!” supporters chanted at today’s SAG-AFTRA rally against video-game makers. 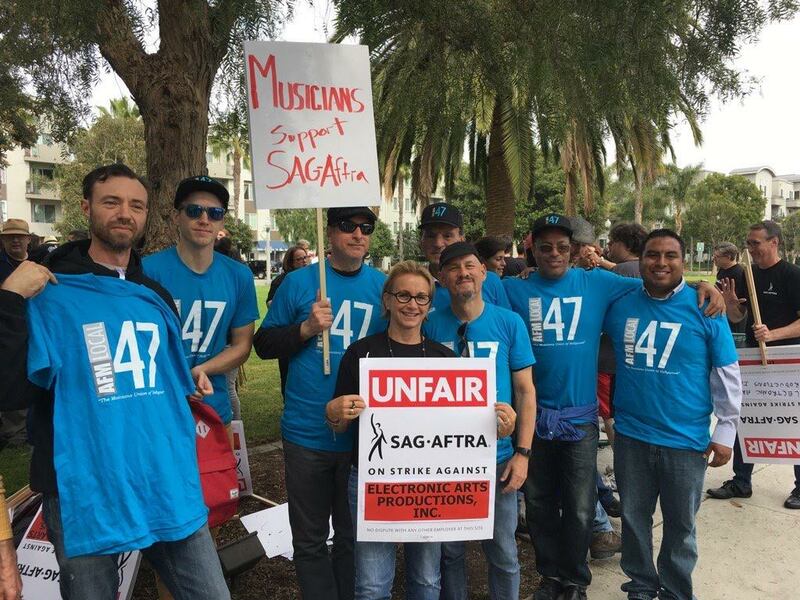 American Federation of Musicians members pictured here with SAG-AFTRA President Gabrielle Carteris. This entry was posted in All News and tagged interactive video games, labor unions, SAG-AFTRA, solidarity, strike, union on October 24, 2016 by admin. This entry was posted in All News, Features and tagged grocery workers, labor rally, solidarity, UFCW, UFCW Local 770 on August 2, 2016 by admin. On April 28, the unions of the AFL-CIO observe Workers Memorial Day to remember those who have suffered and died on the job and to renew the fight for safe jobs. 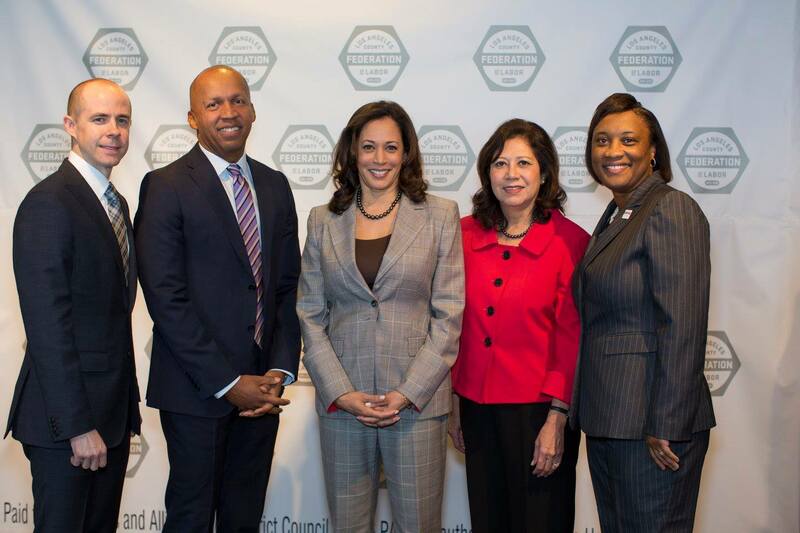 This year we will come together to call for work in this country that is safe and healthy and pays fair wages. This entry was posted in All News, Features and tagged AFL-CIO, labor unions, solidarity, Workers Memorial Day on April 28, 2016 by admin.